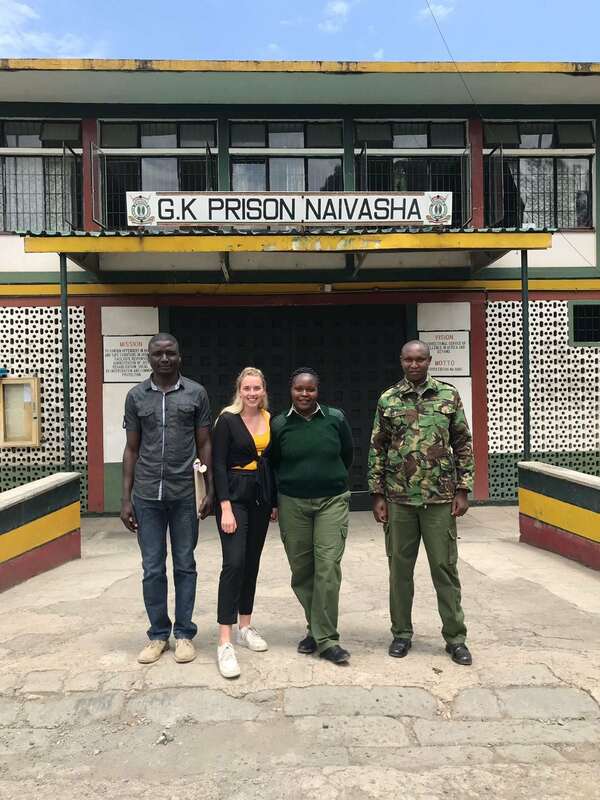 I never thought that I would have spent my summer working in 3 maximum security prisons in Kenya and never did I think that this would be the place that would inspire me the most. I have had the most unforgettable summer of my life. I thought that my role this summer would be to “teach” but instead I have been taught some serious life lessons and I have learnt far more than I could have possibly taught. I have learnt more about myself in the space of these 2 months than I have my whole life. I have discovered my strengths and weaknesses and new passions and dreams. But most importantly I have learnt to be grateful for all of my blessings and to always remember how good I have it in comparison to those less fortunate. I have had the pleasure of working with some of the most amazing, selfless and inspiring people I have ever met. They continued to amaze me with their intelligence, their skill, their compassion and their hearts of gold. I am beyond moved by every single inmate and their motivation to achieve a law degree purely to help others with no regard for financial gain. This has been such a shocking contrast to the reality of life as a law student in the UK where money is a key (if not the main) motivator behind a legal career. It has been heartbreaking to see how much a system has failed so many incredible people and branded them as criminals knowing they would never be in this situation if they were in the UK. It’s devastating to hear their dreadful stories of miscarriages of justice and all the unconstitutional death penalty’s that have been issued to people who are so undeserving but are now on death row for crimes not proportionate to such an outdated form of punishment. But despite all of this wrong doing the inmates all seemed in great spirits and they were all so grateful for the little things. It has been so emotional and almost uncomfortable to receive so much gratitude for simply being a nice human and helping people who are so deserving. For me this highlights how much prison reform really needs to take place if little things such as our support have been so impactful on their life. They deserve so much more help and support and it is frustrating to see how little they receive. But on a more positive note it has been incredible to see the dignity and hope brought to places where there has previously been none and to take small steps to start improving their life and building up a future for them if they are released. All the work APP are doing has been a HUGE step in the right direction but there is still lots more work to be done. But I am so excited to see the impact of the amazing work we are doing in Africa. Being able to see at first hand the impact of the work we have achieved this year has been so motivating and emotional. I am so honoured to be a part of something that has had such a huge impact on the inmates lives and I cannot wait to continue working with APP. I hope our work continues to help achieve justice in the prison system and provides wrongly convicted inmates with a voice and the knowledge to support themselves and others victims of injustice.